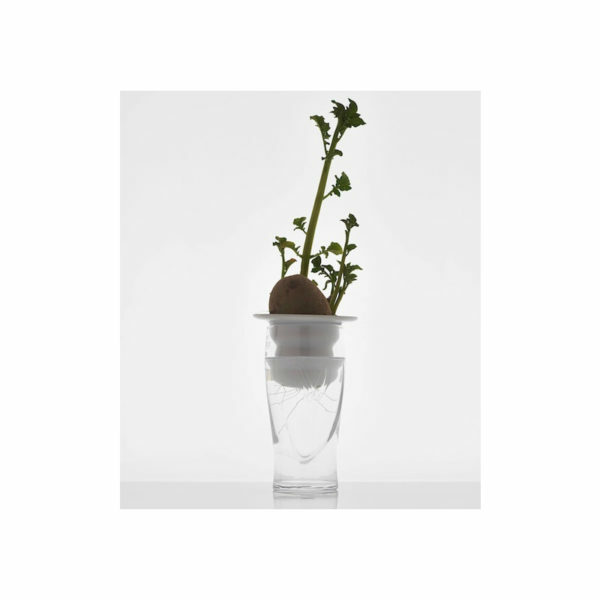 PLANTATION by Alicia Patanowska is a series of porcelain elements designed for growing herbs and ornamental plants using the principles of hydroponics. Thanks to the use of only water and no soil, this method allows observing the growing process of both the stems and the roots of plants. PLANTATION is also a perfect solution for rooting plant grafts. 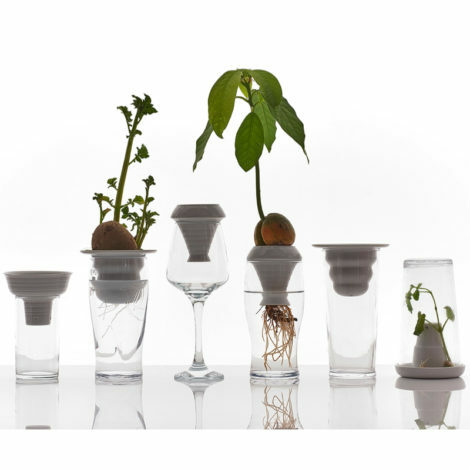 Use a glass you don’t need anymore*, top it with one of the four available PLANTATION shapes and enjoy your own mini-farm. 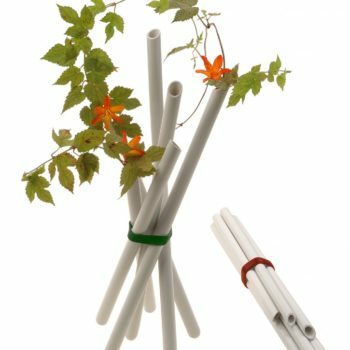 There are four different shapes + one of them has an extra function – it works as a small greenhouse. Plantation is made hard-paste porcelain, the finest, most valuable and most difficult material to work with. 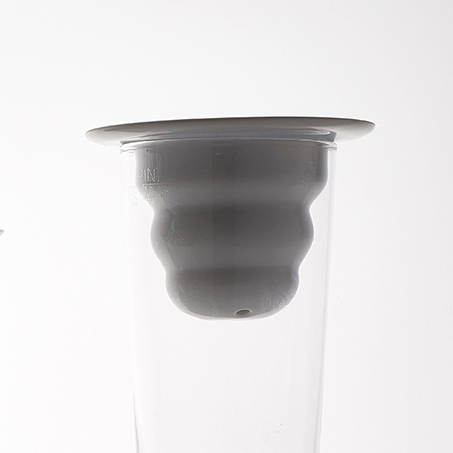 This makes it dishwasher-safe and resistant to low and high temperatures as well as to sudden temperature changes. 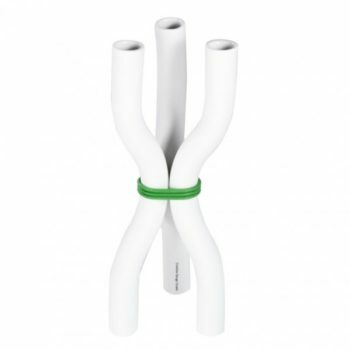 This shape perfectly fits drinking glasses of all sizes and is ideal not nly for growing plants but also for giving small bunches of flowers a nice shape. The large opening at the bottom perfectly fits large seeds (e.g. 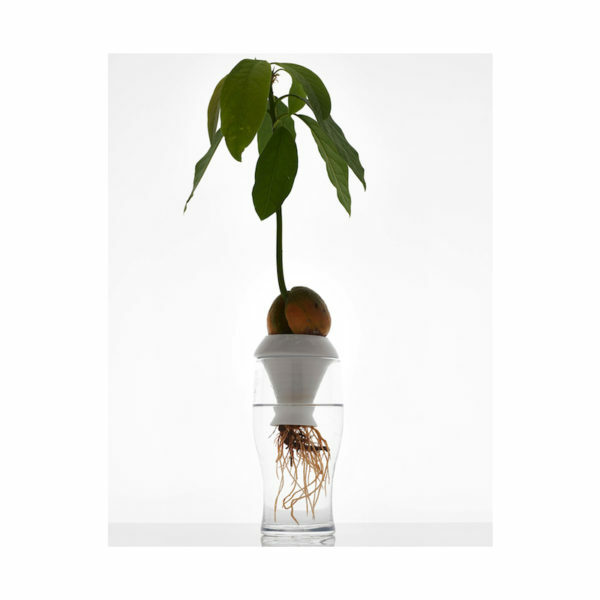 avocado) and allows easy removal of roots (e.g. of onion, garlic and other plants with large bulbs or pits). 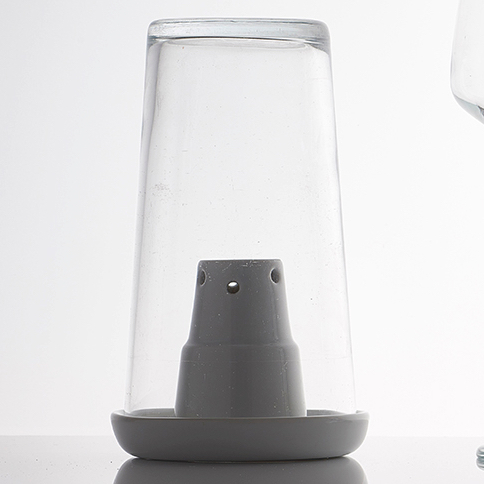 For small seeds choose another Plantation shape to avoid the falling down the glass. 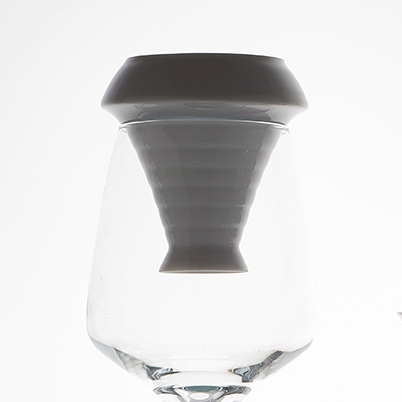 This shape fts even the largest glasses, jars and other glass containers. It is perfect for growing avocados, onion and garlic bulbs as well as other plants of large bulbs or pits. 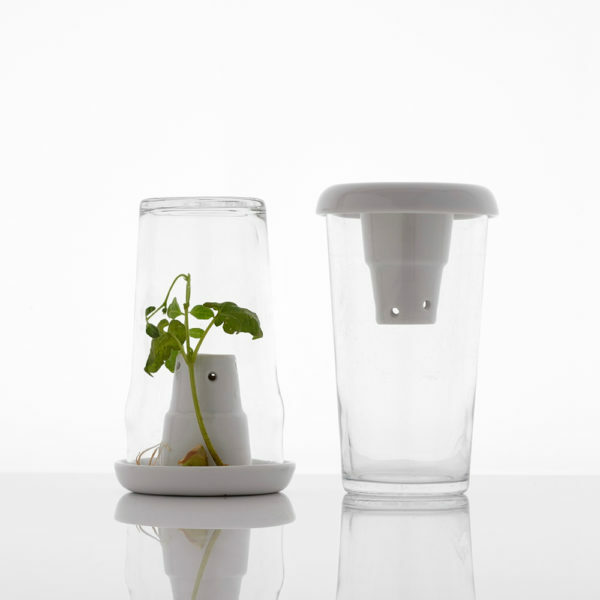 The openings are small enough to keep even the tiniest seeds inside and prevent the from falling down the glass. Due to the size of the openings, it is meant as the target growing container. 1. 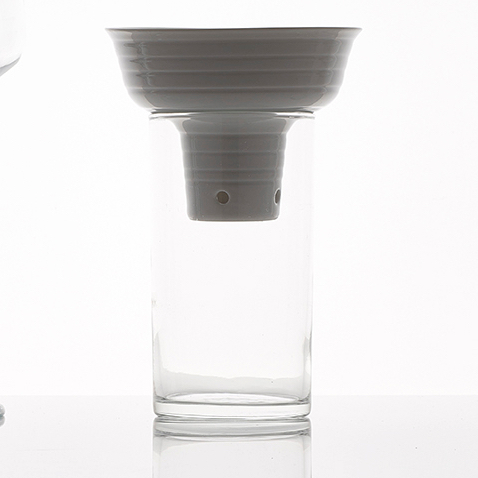 Like all other shapes, it can be used to grow plants in the ceramic Plantation element on the top of a glass. 2. 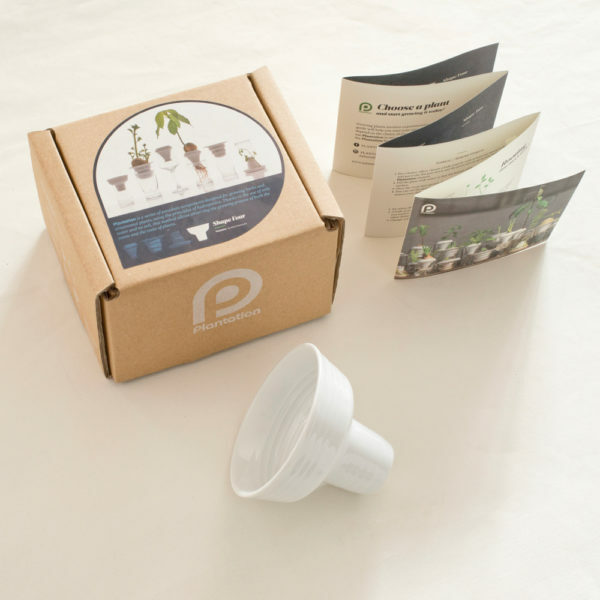 Moreover, when turned upside down, it can be used as a mini-greenhouse, perfect for sprouting plants. Small openings in the bottom make it ideal for germinating tiniest seeds and bulbs as well as for rooting cuttings before planting them in soil. 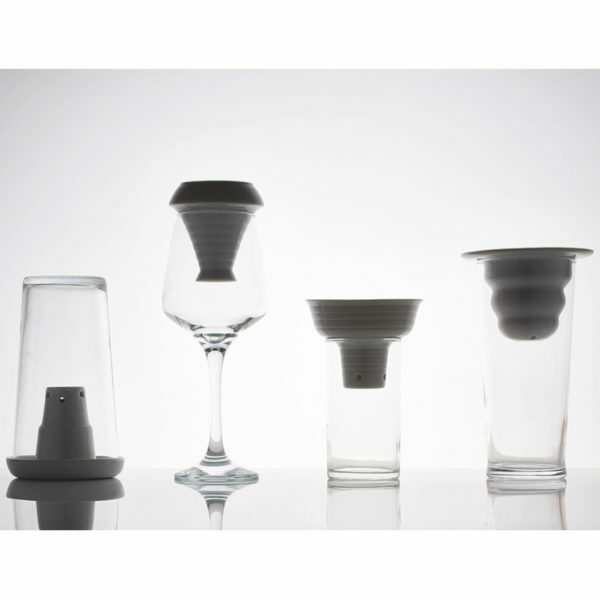 This shape can be used as the target growing container or a temporary solution to enhance rooting, which perfectly fits small and medium-sized drinking glasses as well as many larger containers. It is great for growing avocados, onion and garlic bulbs as well as other plants of larger bulbs and pits. For small seeds choose another Plantation shape with smaller openings.